Our staff has over 25 years experience in providing asbestos, lead-based paint and indoor air quality services in the State of New York. Experience includes industrial, commercial, retail, private and public work sites. Our company was specifically formed to provide clients with the greatest level of expertise to manage your risks. ALECS has provided hundreds of inspections and designs with a wide variety of clients including educational clients, government agencies, and many commercial and industrial clients. For an in depth discussion of our experience, request a Statement of Qualifications using our contact page. Mr. Donald Alford, Jr. is the managing partner for all services. Mr. Alford has been providing Asbestos, Lead and Indoor Air Quality Consulting services in New York’s Capital District for over 25 years. He was a regional Scientist with Professional Service Industries, Inc. responsible for the advancement of these service lines on a National Level. 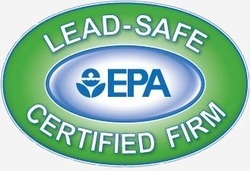 Mr. Alford has been providing asbestos design services since 1992 and lead-based paint design services since 1995. He has designed over 100 abatement projects in schools, industrial facilities, commercial buildings and other public and private facilities. 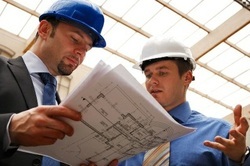 He has developed customized design documents to handle unique abatement situations where time, budget or environmental factors threatened project completion. 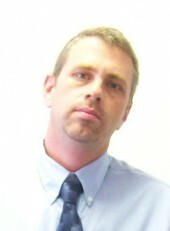 Mr. Teagle is the manager for our Asbestos Field Services team. ALECS offers a full range of asbestos services including inspection, testing, design, drafting, construction oversight and Project Monitoring. Mr. Teagle has performed these asbestos services for over 10 years. As leader of ALECS' asbestos team, Mr. Teagle will oversee onsite activities to ensure rapid and expedient completion of work, as well as to provide excellent quality of service.